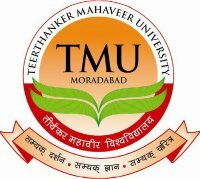 Teerthanker Mahaveer University is a UGC recognized university based in Moradabad, Uttar Pradesh. Currently university offering various professional courses through it's fourteen on campus colleges and five departments. Along with various on campus full time courses the university also offers many Distance Learning Courses including postgraduate programs like MCA, MBA & M.A. Some graduation level courses like BBA, BCA, B.Com etc & various short term certification courses. Currently university is having total 6 information centers from where you can get more information about how to apply for various programs offered by the university. The information centers are based at Delhi, Lucknow, Patna, Ranchi, Agra & Shikher Ji. With over 100 UGC approved programs across 14 on campus colleges and 5 teaching departments. A huge data base of study resources including Subscription to 347 research journals (print version) and EBSCO database making online access to over 7455 research journals. Tie-ups and collaborations with prestigious national and international institutions like TCS, Amtek Auto, CMS, Indian Institute of Logistics (Chennai), Microsoft Academy, Manipal –City & Guilds Skills Training Pvt. Ltd., SolBridge International Business School (South Korea), University of Regina (Canada), Polytech Nantes (France), Vanier College (Canada), Limerick Institute of Technology (Ireland) Oracle,Cisco, IBM and Red-Hat. Rated A++ by Business & Management in 2012, 'A' by Business India in 2011. TMU Offers various professional & short term certification courses through distance learning. The duration for all the short term certification courses is 6 month. 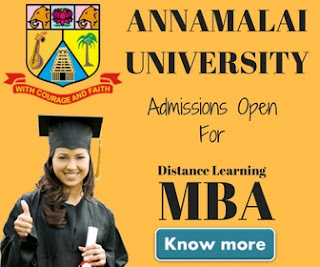 Professional courses Like MCA, BCA, BBA, B.Com, B.A, BJMC are of 3 years duration. MBA & M.A are of 2 years duration & duration for certificate course in social work is 6 months. Following is the chart which describe the fee structure of various distance learning courses offered by the University. 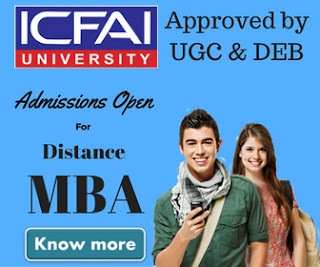 Following is the eligibility criteria for taking admission in various distance learning courses offered by the university. Candidate seeking admission in any of the courses mention above is required to fill up an admission form available with admission Brochure. Speed post/courier: The Admission Brochure, along with the application form, can also be obtained through speed post/courier. A request in this regard should be sent to the Director- Admissions, Teerthanker Mahaveer University, Delhi Road, Moradabad, (UP) – 244 001, along with a demand draft/pay order of Rs. 600/- (Rupees six hundred only) against the processing fee in favour of the ‘Teerthanker Mahaveer University’, payable at Moradabad. The name, address and phone number of the applicant should be clearly mentioned on the backside of the demand draft/pay order. Downloading from University Website: The application form can be downloaded from the University Website (www.tmu.ac.in) and the duly filled-up form can be forwarded to the, Director- Admissions, Teerthanker Mahaveer University, Delhi Road, Moradabad, (UP) – 244 001 along with a demand draft of Rs. 600/- on account of processing fee favouring the ‘Teerthanker Mahaveer University’ payable at Moradabad. Filled-up application form, in all respect, should reach the Director- Admissions, Teerthanker Mahaveer University, Delhi Road, Moradabad (UP) - 244 001. For more information about admission process kindly visit university official website or contact on the below mentioned details.